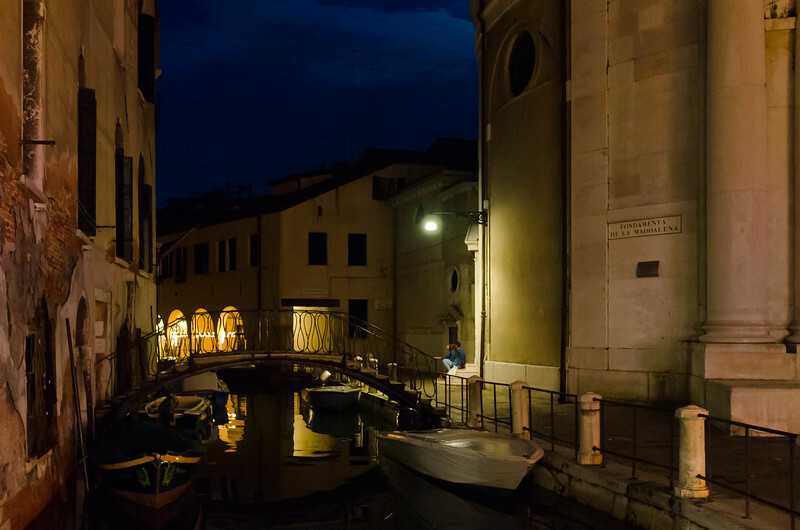 Our first stop in Italy was Venice. 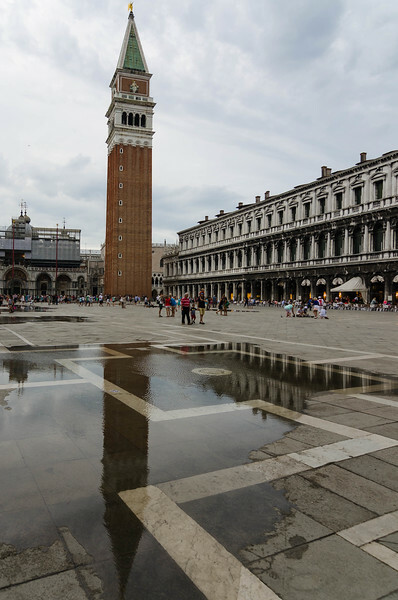 Rising water in the Piazza San Marco. 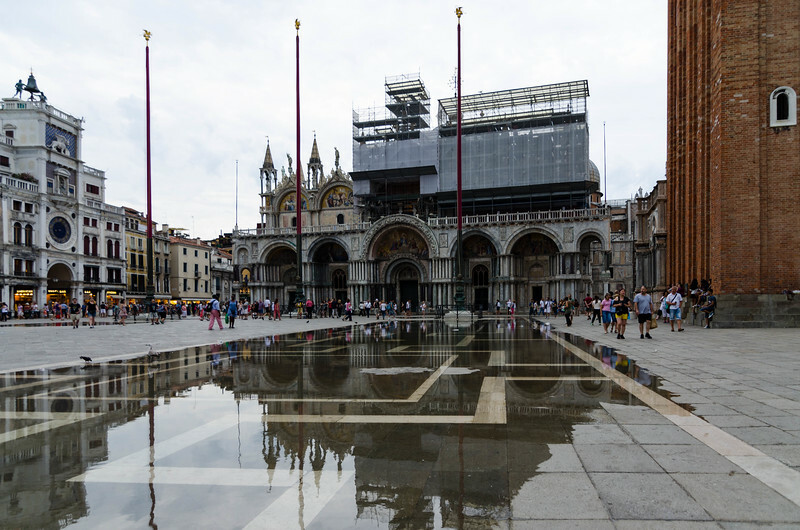 St. Mark's Basilica reflected in the rising water in Piazza San Marco. 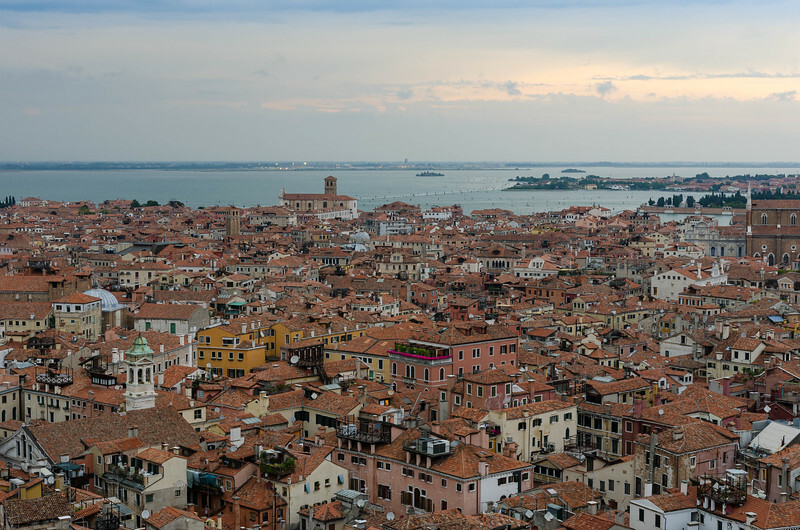 Looking out across Venice from the top of St. Mark's Campanile. 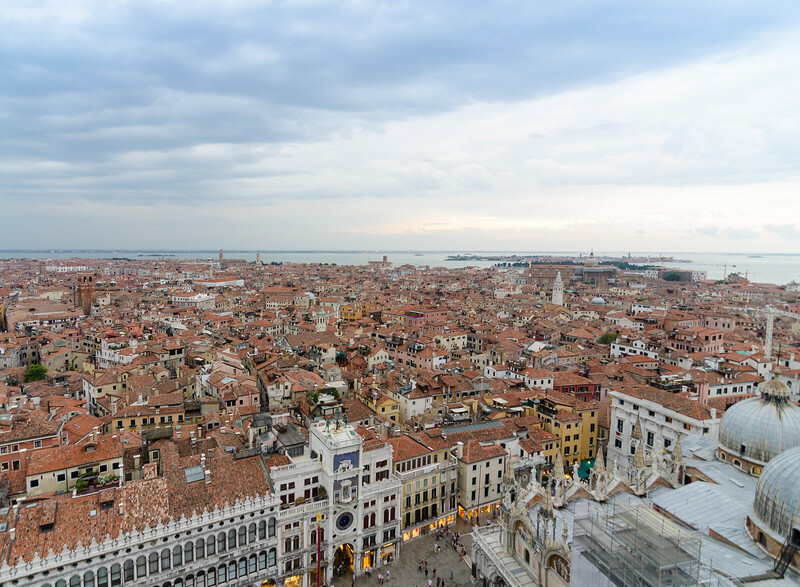 Santa Maria della Salute, as seen from the top of St. Mark's Campanile. 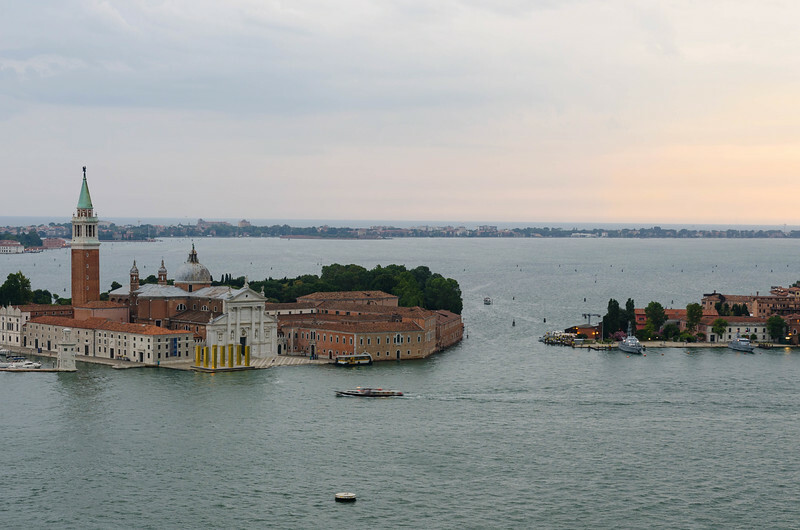 The Church of San Giorgio Maggiore, as seen from the top of St. Mark's Campanile. 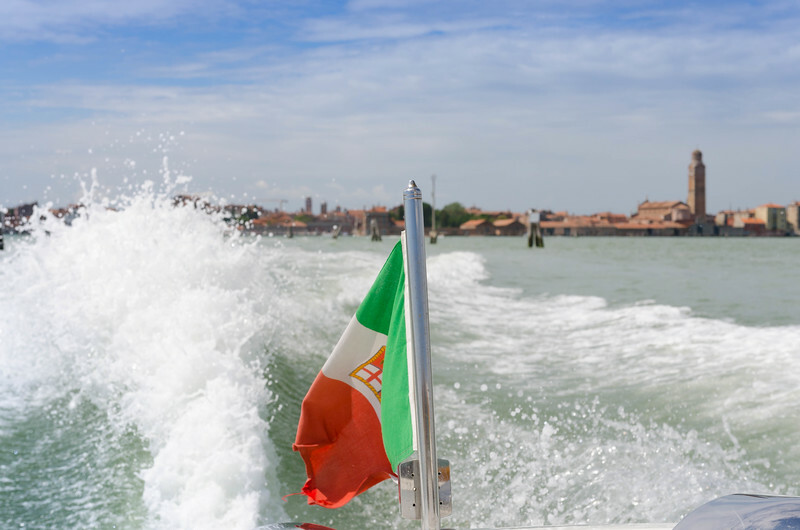 Crossing the Venetian Lagoon in a water taxi to Murano. 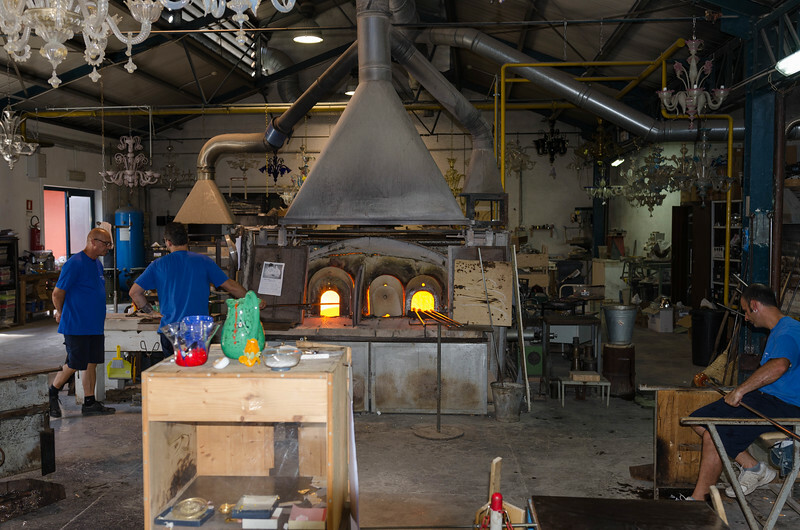 Tour of a glass blowing factory on Murano. 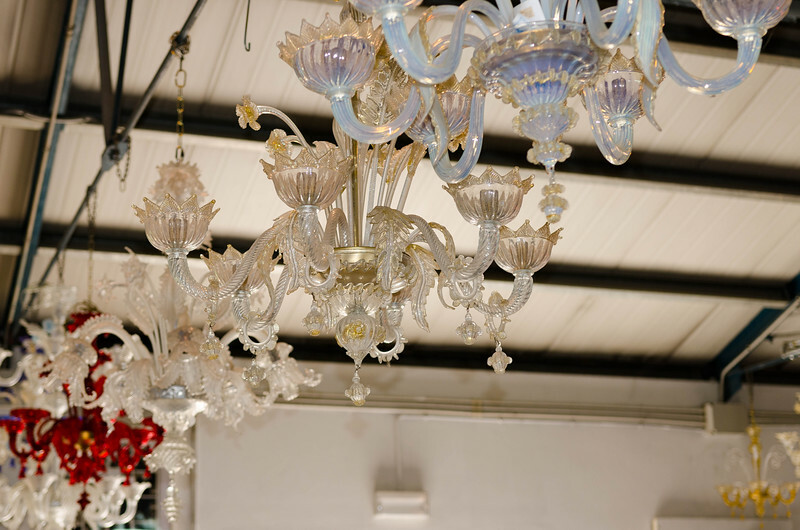 Chandeliers at the glass factory we visited on Murano. 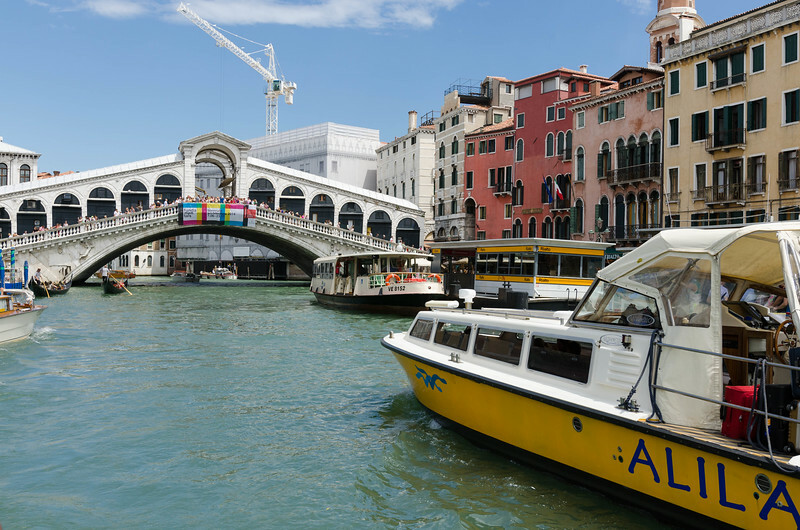 The Grand Canal and Rialto Bridge as seen from a vaporetto, or water bus. 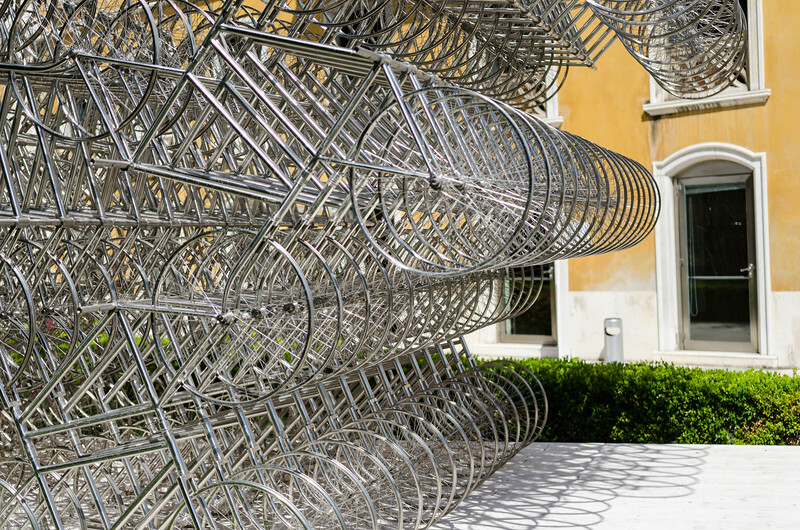 Ai Weiwei's Forever Bicyles, a sculpture outside the Palazzo Franchetti. 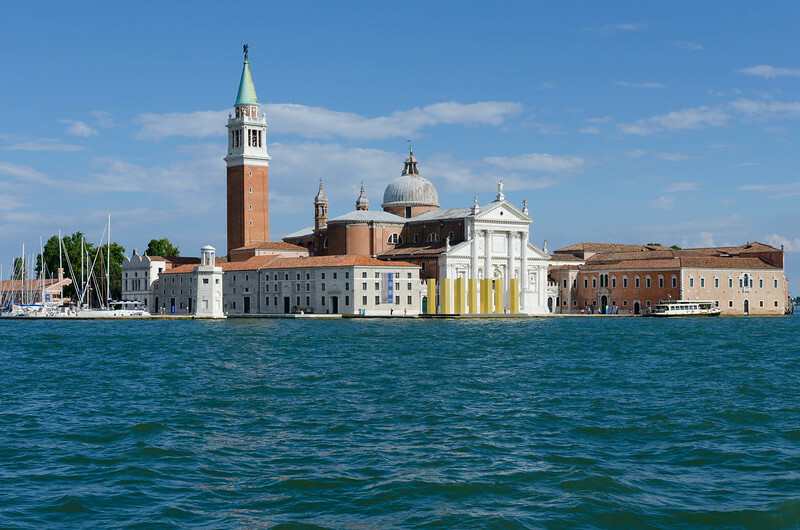 The Church of San Giorgio Maggiore, as seen from a vaporetto crossing the lagoon. The controversial Ponte della Costituzione, or Constitution Bridge. 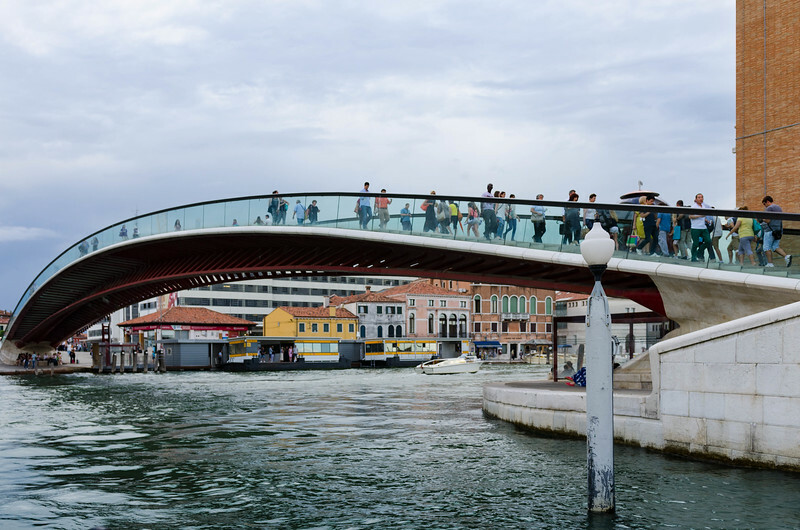 This is the newest bridge across the Grand Canal, and connect's Venice's train and bus stations, far from the city's historic center. 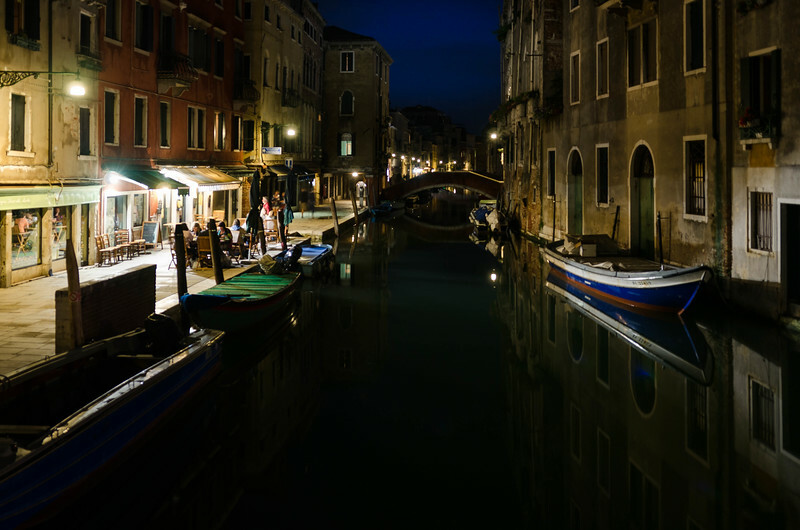 Nightime in Venice's Cannaregio neighborhood. 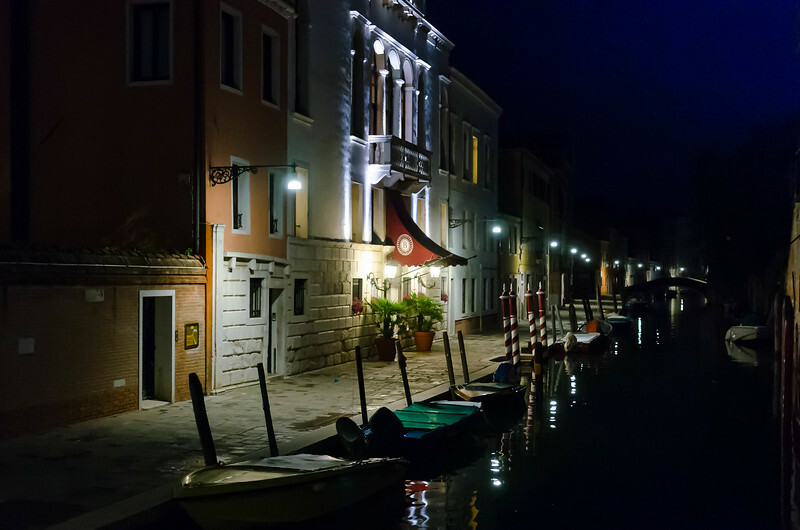 The exterior of our hotel, the Boscolo Venezia.